Sweden - July 04, 2018 23:13Swedish Women National teamPlayers list by Muffe BajraktarevicThree months have gone since Sweden made their historical (2-2) and winning (2-1) debut in Orebro with the women futsal national team in the double challenge against Czech Republic. Now is time to resume the activity through a scandinavian derby vs Finland scheduled to happen ion July 17th and 18th in Tampere. 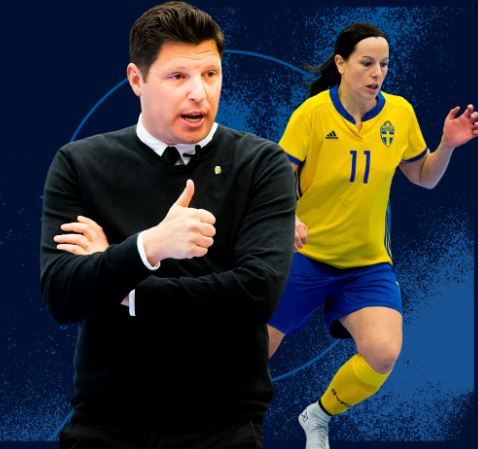 As announced by head coach Muffe Bajraktarevic, Sweden will mainly rely on the group of players involved in the inaugural games played in April, trying anyway to feature and evalutate some interesting new entries (click here to read the interview with the Swedish trainer).